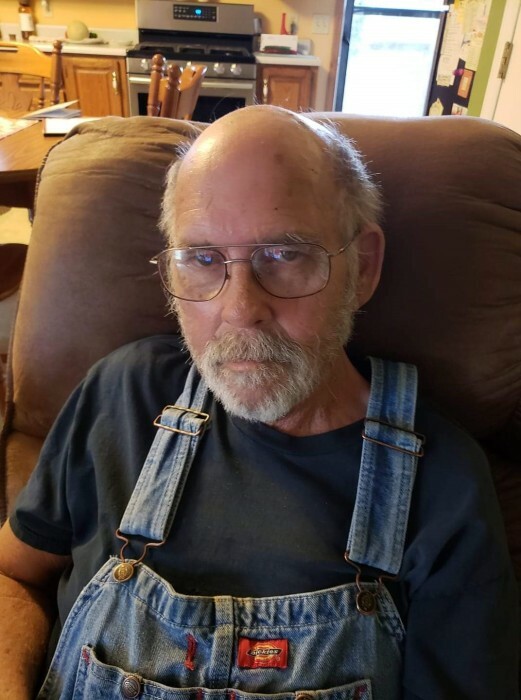 Obituary for Eugene Charles Hoffman | Butler Funeral Home, Inc.
Eugene Charles Hoffman age 71 of Edmonton passed away Tuesday, February 5, 2019 at his home. Born in Evingston, Illinois he was the son of the late Leonard and Myrtle Haverson Hoffman. He is survived by his wife Shelly Hoffman of Edmonton. One daughter Julie (Mark) Votis of Hiles, Wisconsin. A brother Larry Hoffman of Hawthorn Woods, Illinois. Three sisters. Judith Bangs of Desplaines, Illinois, Carol Dodson of Inverness, Illinois and Betty (Randy) Herr of Des Plaines, Illinois. A grandchild Taylor Stauber of Solon Springs, Wisconsin. Two great grandchildren Eli and Finley Stauber of Solon Springs. His mother in law Maureen Hobart of Edmonton. A sister in law JJ Hobart of Edmonton and a brother in law Roger Hobart, Jr. of Edmonton. Several nieces and nephews also survive. Besides his parents he was preceded in death by a son Jeffrey and a brother Leonard Hoffman. Before moving to Edmonton he resided in Three Lakes, Wisconsin for fifteen years. A celebration of life service will be held in Three Lakes, Wisconsin at a later date..